When Shaw told me the Wednesday night specials at Dan's Longbranch Steakhouse are $5 for a pound of wings with fries and $2 domestics, I thought that sounded like it was worth checking out. Cheap wings and cheap beers are a good combination. 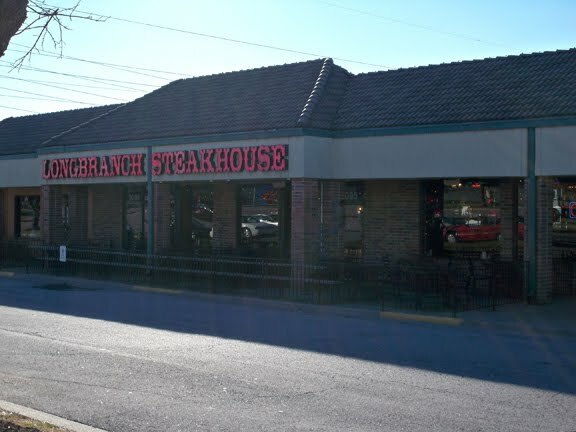 But I got really excited when I took a look at the restaurant's website and saw that Longbranch has a pinball machine. Cheap wings and cheap beers plus pinball is a combination that's unbeatable. I didn't even care that the machine was a pinball version of Big Buck Hunter. I'm not really big into hunting, but with pinball becoming increasingly scarce, I'll play whatever table I can find -- even if bludgeoning your prey with a heavy silver ball does seem a little severe to me. While Shaw and I were fine with the domestic special, we had our friend Dan along with us, and since he's something of a beer nut he decided to rock some Boulevard's Bob's '47 instead. Shaw grabbed the three of us a bowl of peanuts, and we ordered our wings. 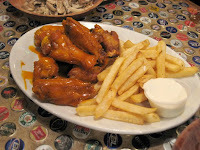 Decently sized, our pound came out to nine wings total, but taste-wise I didn't catch a lot of heat off them. Not the best I've ever had, yet far from the worst. 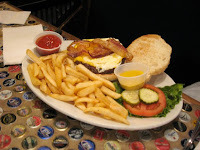 We also each got burgers -- the chili cheeseburger for Shaw, the blue cheese burger for me, and Dan felt obligated to try Dan's Barnyard Burger. 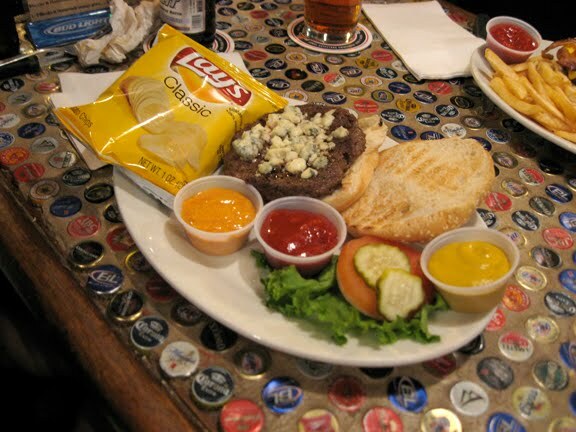 When the chili cheeseburger and the blue cheese burger arrived, I thought they looked a little skimpy on toppings. However, there was actually just enough of the good stuff on them to complement Longbranch's excellent patties, which may have otherwise been overwhelmed. 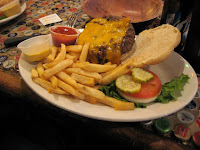 The blue cheese burger came with some habanero sauce that gave it a nice bit of zip, too. As for Dan's Barnyard Burger, topping overload is clearly the point. I think you know what you're getting into when you order a burger with a fried egg, three slices of cheese and three strips of bacon. After we finished our burgers and settled up, we went in search of the pinball machine and wandered over to The Branch, the bar that's connected to Dan's Longbranch Steakhouse. A cover band was playing, and it was much more hopping over there than on the restaurant side. Although the pinball machine turned out to be Pirates of the Caribbean rather than Big Buck Hunter, alas, it wasn't switched on. Still, we decided to hang out for a couple more beers. The Branch was pretty busy for a Wednesday, and it looked there were a lot of regulars. In fact, I'm not sure anybody there realized it was a weeknight. I bet the Saturday night karaoke jam there is insane.